After a lot of false starts it looks like summer’s finally arrived in Cape Town and that means time to swap out my skinnies for shorts – but only after I marinate in self-tan (loving Xen-Tan mousse at the mo) and get a hot pink gelish pedi. Anyway, Mr P sent me a few piccies of their new RT collection and it’s nice to see they’ve pretty much nailed all the big trends – from joggers and graphic printed vests to acid wash shorts and a wide selection of crop tops. Printed crop top R39,99, ruffled camisole R49,99 and embellished crop top (price TBA). Seriously though, couldn’t this crop top trend have come back like five years ago ago? Like back in the day when I was still in my twenties and you could totally see my ribs in months in months where I blew all my kesh money on shoes as opposed to Woolies’ Ready Prepared meals? But ja, let’s take a look at the mooi shorts shall we? Splash print shorts (price TBA) and acid wash denim shorts R199,99. Their longer bottoms are just as trendy and bright – a regte blur of tribal, geo and paint technique prints. 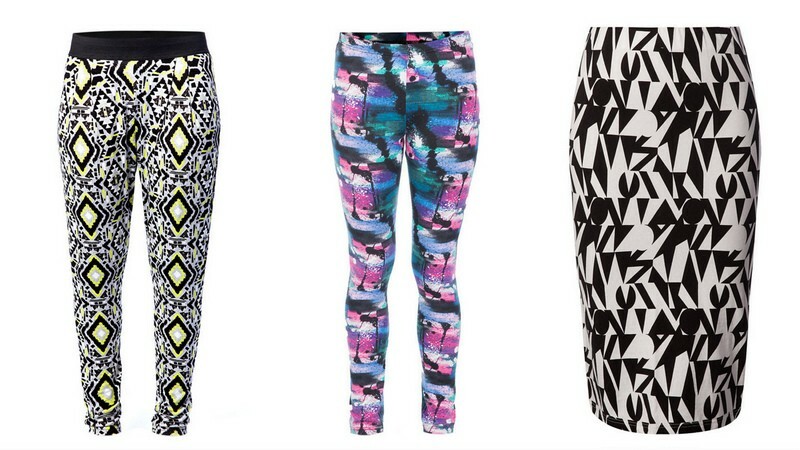 Aztec print joggers R99,99, printed leggings R69,99 and geo print bodycon skirt R69,99. …that is if it hasn’t already sold out. This is an advertorial post. All opinions are my own.